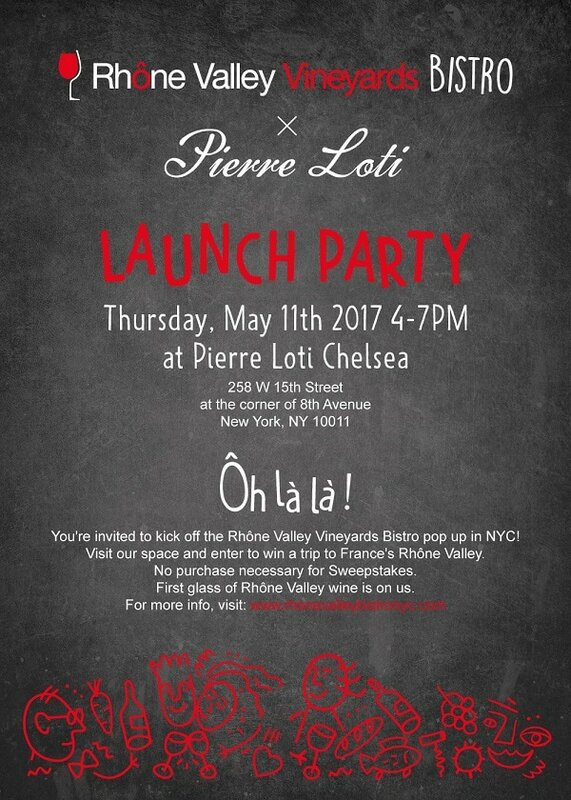 ​Attend this free event celebrating the launch of the Rhone Valley Vineyards Bistro at Pierre Loti Chelsea. Have a glass of wine on us, some great appetizers and enter the sweepstakes for a trip for 2 to France. For 2 weeks we will only serve wines from the Rhone Valley, offer special happy hours, have 2 special guided tastings and a few winemaker dinners.